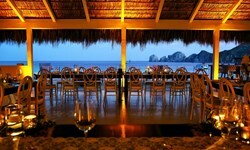 Bahia Hotel & Beach House - Wedding Venue and Packages | The Future Mrs. 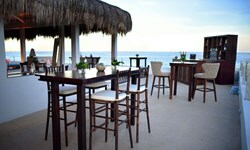 The Bahia Hotel & Beach House is located in the historic Medano Beach district in the heart of Cabo San Lucas, Mexico. 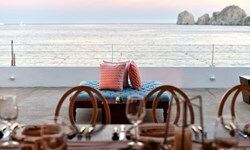 We’ve reimagined the traditional boutique experience, offering guests a chic, modern retreat with access to incredible activities and world-class dining. 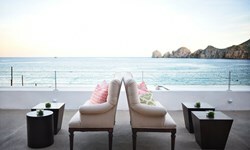 The Bahia Hotel’s SUR Beach House is located on picturesque Sea of Cortez. 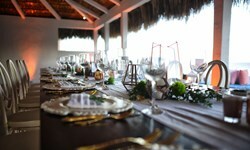 The menu showcases Mexican flavors with Asian and Peruvian influences, as well as breathtaking views and ideal spaces for private events. The on-scene Bar Esquina Restaurant is known for its robust cultural experience, with its open kitchen, live music, and market-driven menu.